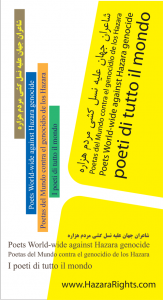 324 noted poets including Nobel, Pulitzer, continental and national literary prize winners as well as the presidents of the international poetry festivals, presidents of PEN clubs, and writers associations from 93 countries have chosen to release an open letter to world leaders, this March 21st . They have chosen to observe World Poetry Day by raising awareness and saying ENOUGH IS ENOUGH and that something must be done to stop the genocide of the Hazara people. The letter is addressed to The United Nations Secretary-General Ban Ki-moon, the President of the European Commission José Manuel Barroso, and President of the United States, Barack Obama. 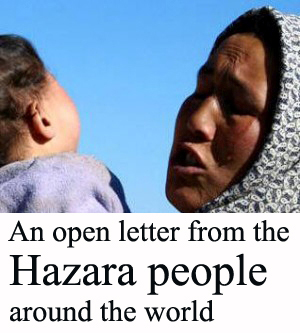 The letter is r equesting that they take the necessary steps to ensure the security and safety of the Hazara people. 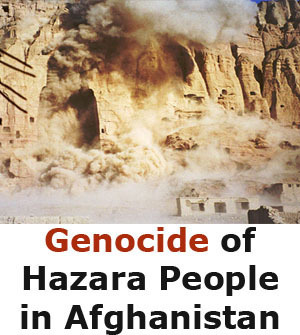 For more than a century now, the Hazara people of Afghanistan and Pakistan have been victims of systematic crimes such as genocide, slavery, sexual abuse, war crimes, and discrimination. Hazara poet, Kamran Mir Hazar, who crafted the letter notes, “Article two of the Convention on Genocide describes the dire situation of the Hazaras, and the world must no longer ignore the continuing ethnic cleansing and genocide of the Hazaras. We the poets around the world will continue our work to support the Hazaras by writing a chain poem and collecting more signatures.” he added. Despite the deployment of thousands of international troops in Afghanistan, Hazaras are regularly attacked by Afghan Kuchis, backed by the Taliban and the Afghan government. Hazara roads are often blocked by Taliban gunmen. 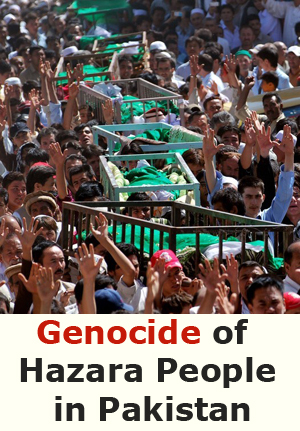 Hazara cars are randomly halted and the passengers murdered. 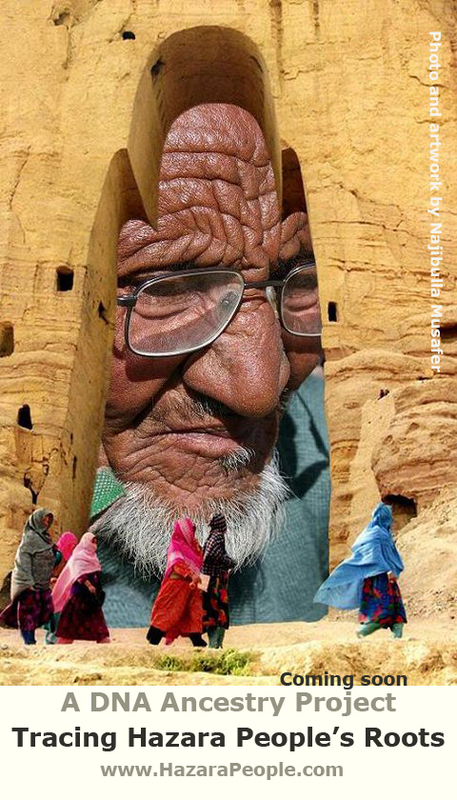 In central Afghanistan, a huge population of Hazaras have been marginalized and denied their basic human rights. As a result, millions of Hazaras have fled Afghanistan, creating unnecessary refugee populations in countries like Turkey, Greece, Australia, and Indonesia. 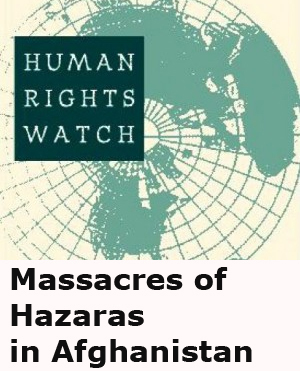 In Pakistan as recently as 16 February 2013, more than three hundred Hazara men, women and children were killed or injured in a terrorist bombing in Quetta, Pakistan. 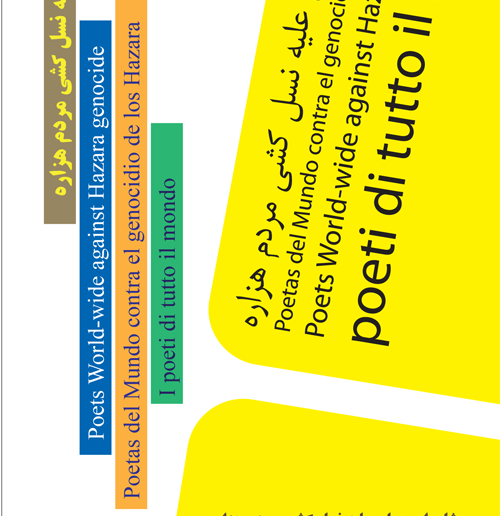 Poets World-wide implore world leaders to declare of a state of emergency regarding the Hazara situation in Afghanistan; to pressure Afghan and Pakistani governments to stop discrimination and stop supporting terrorists groups; to grant asylum to Hazara asylum seekers; establish an international Truth Commission to investigate the systematic crimes against Hazaras; to open cases concerning genocide and human rights violations in international courts such as the ICC; to protect Hazaras in Afghanistan with international troops. 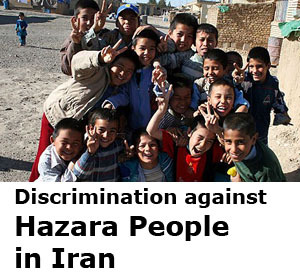 We appeal to international media to investigate and report on activities against Hazaras in Afghanistan and Pakistan.